Travis the Inventory Management track lead at Office Smart Solutions (OSS) has sought Jennifer’s help in designing a new transaction type. The business justification that Travis gave to Jennifer was covered in the previous section. Jennifer is the Inventory Lead for the R12 implementation project at OSS. Here, we follow her steps one at a time. 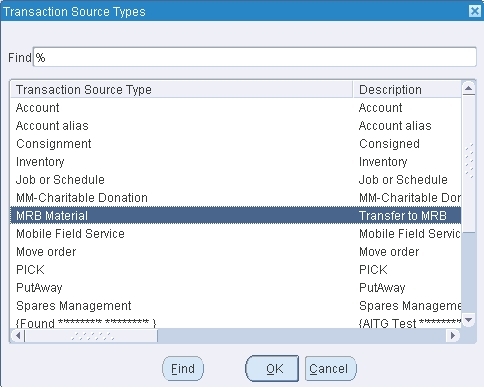 Oracle Inventory comes seeded with a number of Transaction Source Types. These are available under the System tab. Jennifer cannot add a new source type here. But, she can do that under the User tab. She defines a new source type called MRB Material. Oracle Inventory makes it possible to validate the source name against a predefined list of values. To make this work, a value set should be defined using the descriptive flexfield context for the Transaction Source Type window. However, Jennifer is not required to go that far and so the Validation Type is left as None. As in the case of Transaction Source Types, so also for Transaction Types Oracle Inventory provides a list of predefined types. These are available under theSystem tab. Jennifer, as in the previous case, takes recourse to the User tab to create a new transaction type. She names it - Inspection Rejects (MRB). Jennifer looks for the source type she had defined earlier. She associates the MRB Material source type to the transaction type. And the, she assigns the transaction action - Subinventory transfer to the transaction type. Jennifer’s work so far would suffice to meet Travis’s requirement. But the lady goes a step further. She defines a Transaction Reason to be used with the transaction type. This is an optional step. A Transaction Reason Code is a tool to classify the reason for performing a transaction. Users can define as many reasons as required. 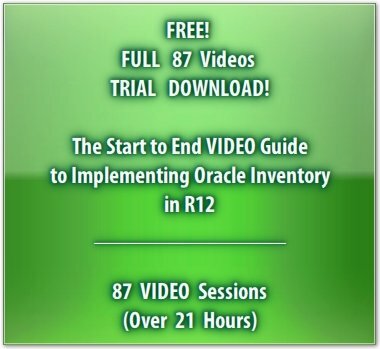 Oracle Inventory provides transaction reporting and inquiring capabilities by transaction reason. In keeping with the new transaction type she just created, she defines the following transaction reason. Jennifer would shortly be using this new transaction type in an actual subinventory transfer transaction.